My time in Japan is dwindling down fast so I have been trying to travel a lot. 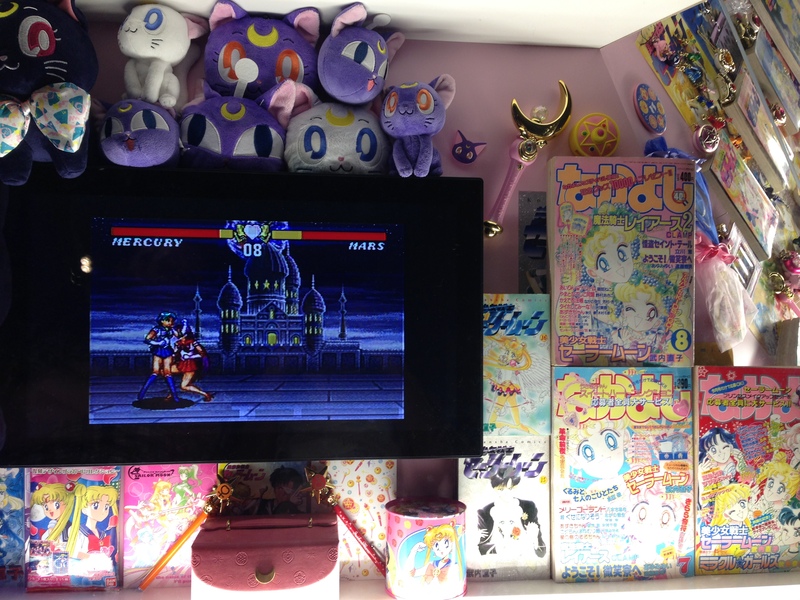 I went to Tokyo last week to check out a video game exhibit (more on that another time) but my friend informed me that there was a Sailor Moon exhibit over at Tokyo City View, the observation deck in Roppongi Hills. 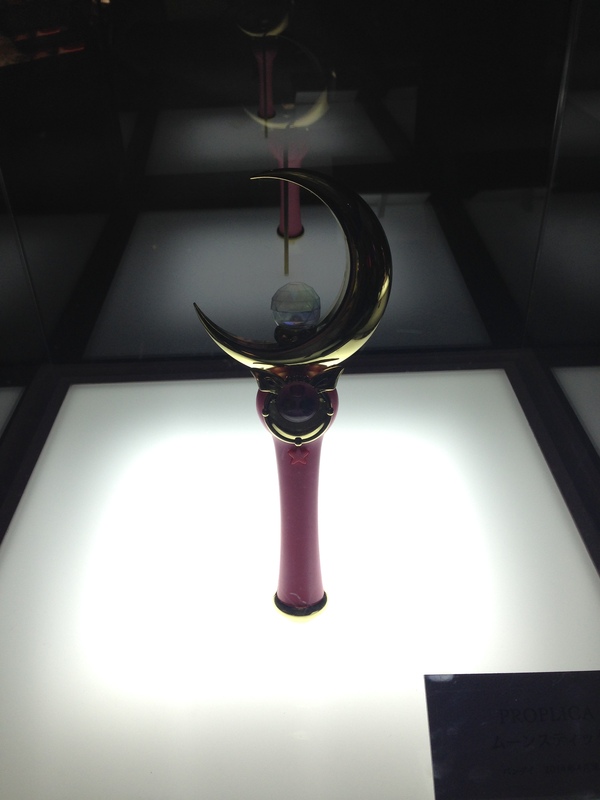 Being a huge Sailor Moon fan, I knew I needed to check it out for myself. 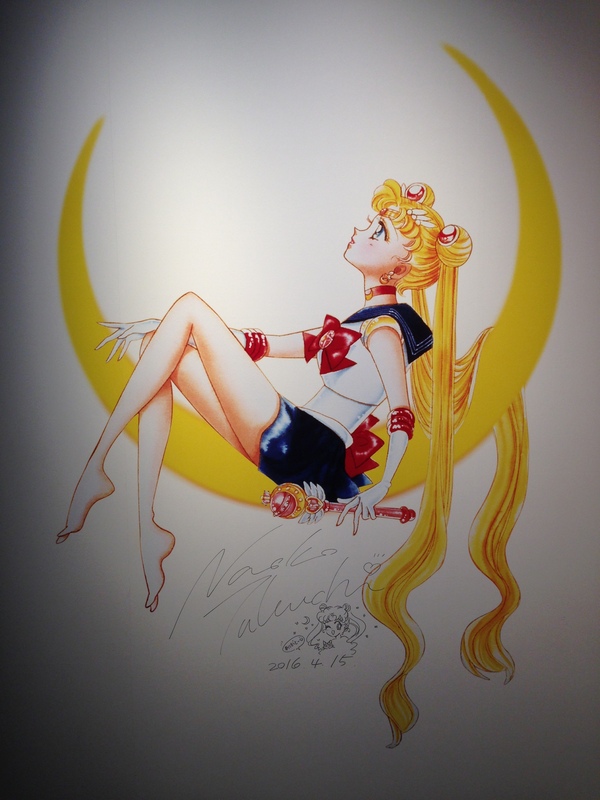 Some exclusive artwork for the exhibit, plus a personal thank you from the creator, Naoko Takeuchi! 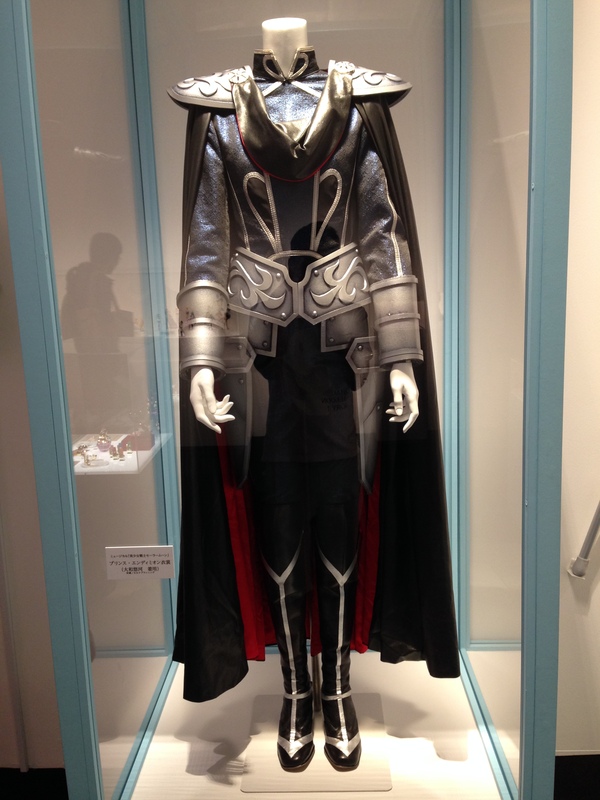 I was very surprised at the amount of material on display. 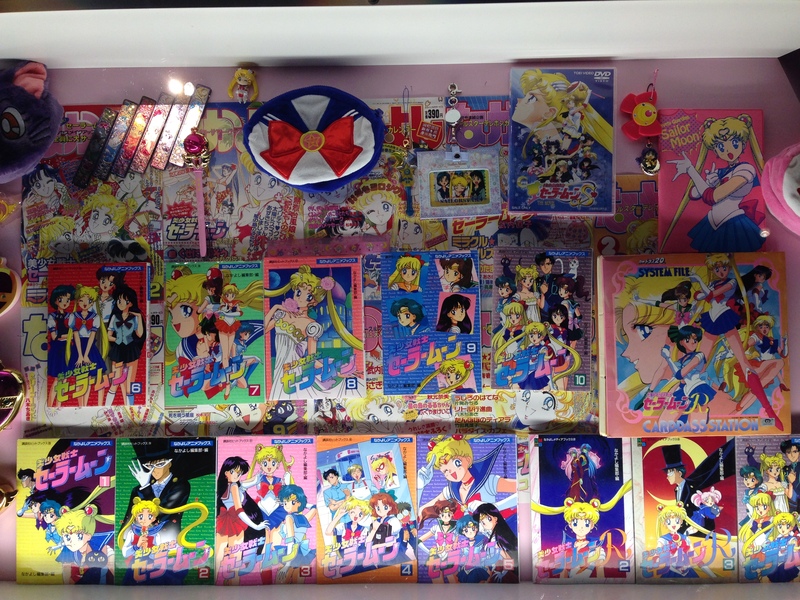 Things such as storyboard art, sketches, paintings, cel art, item replicas and merchandise sold throughout the years of Sailor Moon’s original run (as well as its current run) were scattered throughout the many hallways and rooms. Sadly, photos were only limited to certain areas of the exhibit so I could not take photos of the most interesting stuff. 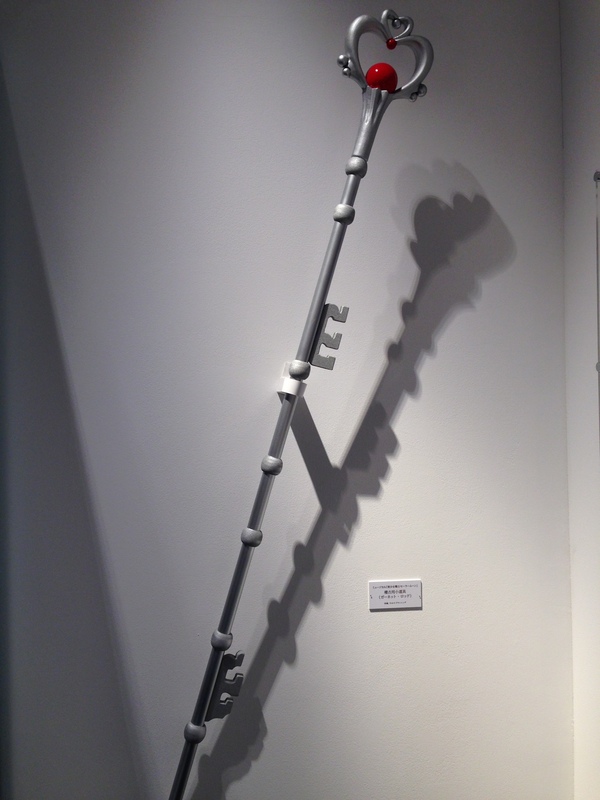 Still, if you like what you see here, you’ll love the rest of the exhibit. 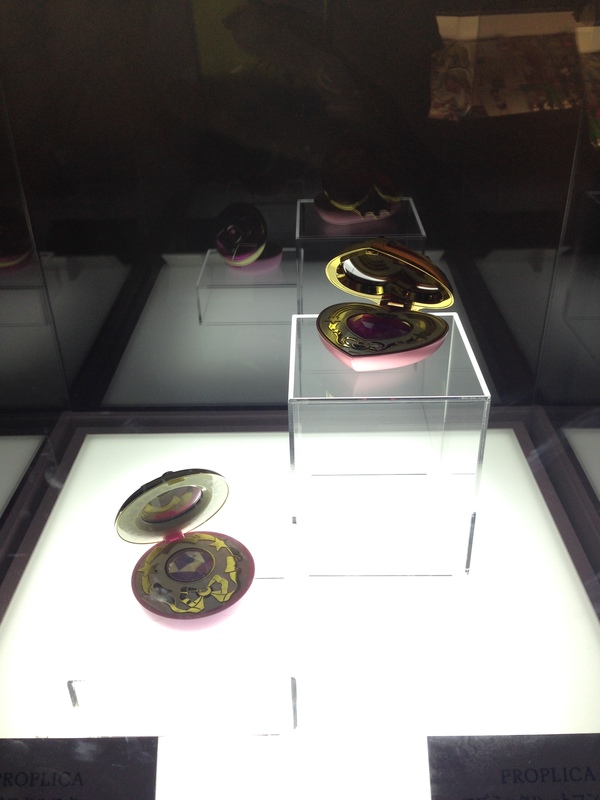 The exhibit guides you chronologically from the introduction of the manga and the original anime seasons/arcs to Sailor Moon Crystal, the anime remake. In between each area you will encounter loads of artwork and concept ideas revolving around each specific arc. It was really nostalgic to see characters and villains that were first introduced to me in high school. Seeing all the weapons up close was pretty cool. I suppose Prince Endymion should get a little love. 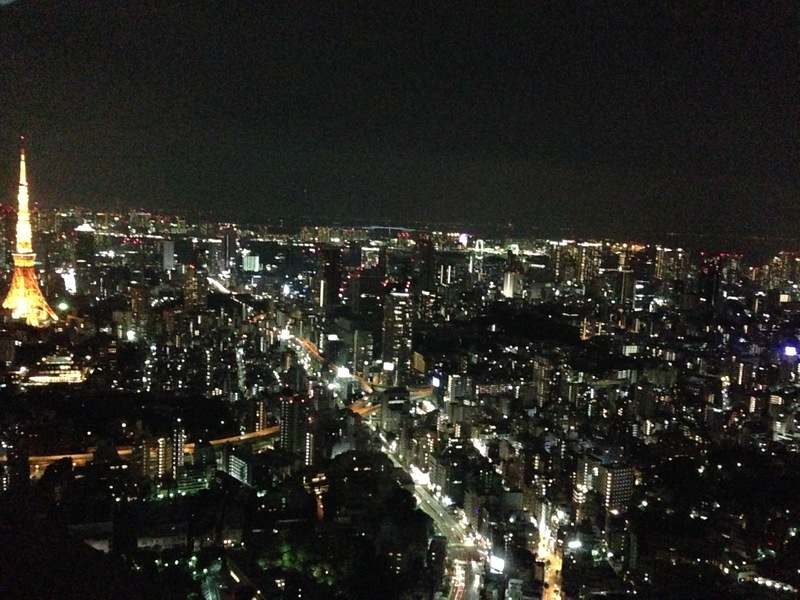 Since you are at an observatory deck, you can check out the amazing view of Tokyo from below as well! 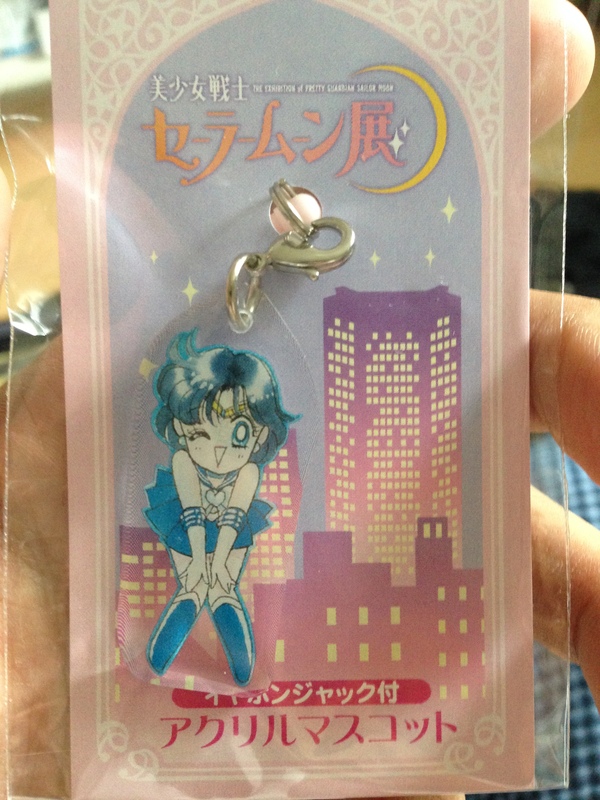 Seeing that Sailor Moon takes place around various places in Tokyo, this is a nice little bonus for fans. Pardon the okay quality. 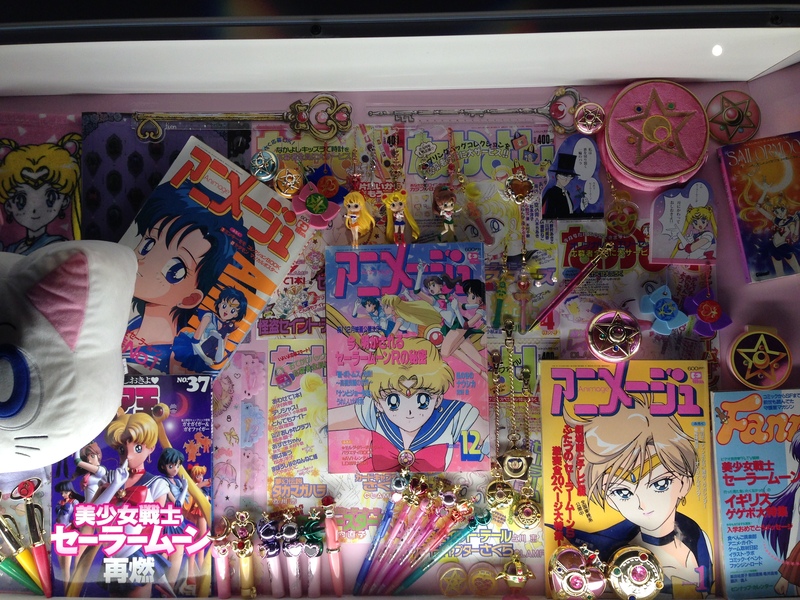 Once you are done checking out the extensive history, you are welcome to a gift shop where you can drown yourself in new Sailor Moon merchandise. 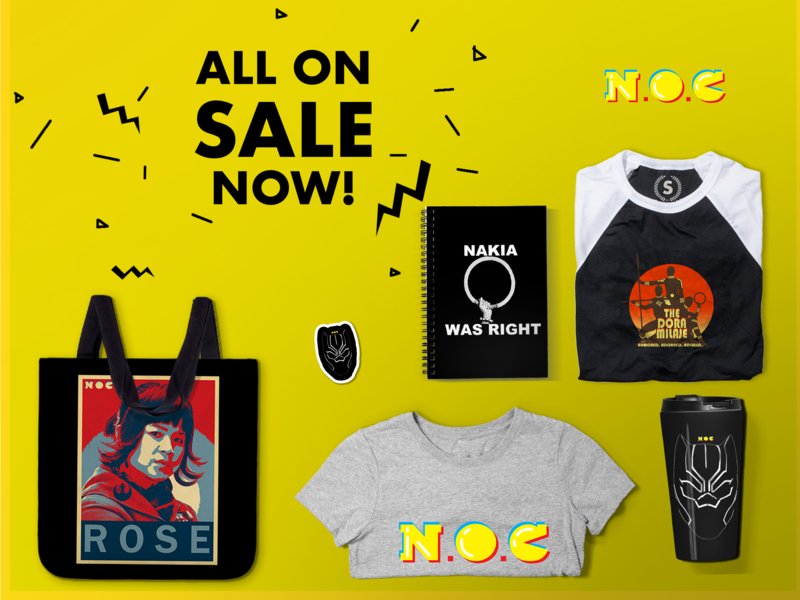 You can find just about everything you could imagine: manga, folders, jewelry, postcards, cookies, towels, accessories, etc. A themed cafe is also present that serves themed food and drinks. Since I was there an hour before close, I didn’t really have any time to check it out myself. 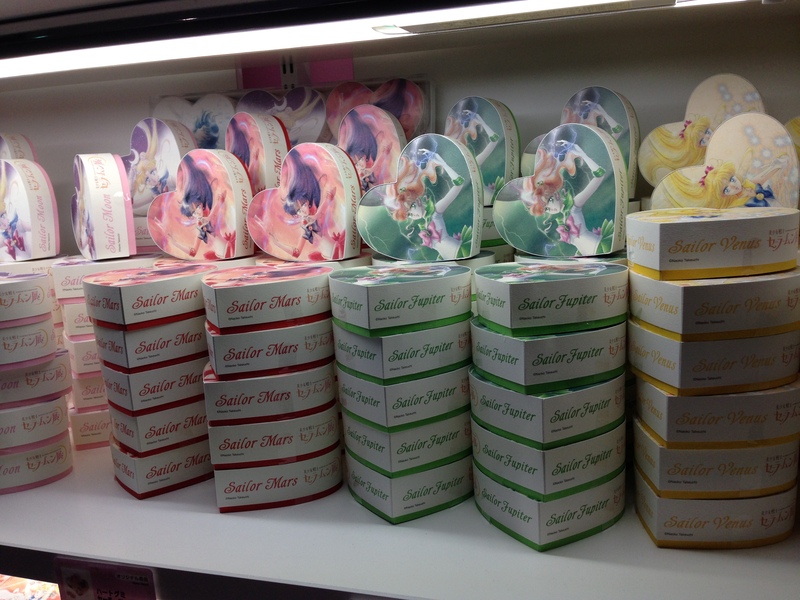 That’s right, you can get your own Inner Senshi cookie depending on who you like. 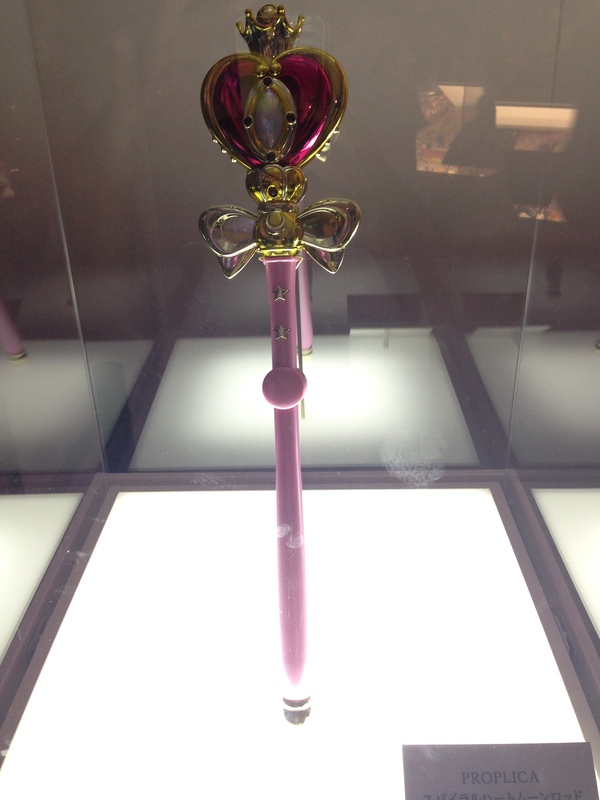 If you happen to be in Tokyo and like Sailor Moon, you would be a fool not to go to this exhibit. The amount of items placed on display as well as detailed descriptions of the series’ history made this one of my favorite anime exhibitions I have been to. You better hurry though, the exhibit only goes until June 19! I couldn’t leave empty handed.